Hope you all are getting ready for an awesome Easter Weekend. I love that Spring has finally Spring and wanted to share this card with you. We have some beautiful new dies to share AND Gift Certificates to give away! The Blog Hop will be posted on the Impression Obsession Blog at 6am EST March 29th – March 30th. Visit our fabulous IO Design Team’s blogs (only one comment per blog please) for a chance to win one of THREE $25 Gift Certificates! If you've been hopping already, you've arrived from the super talented Laura's blog and you are at the last stop in the hop hop hop!!!! 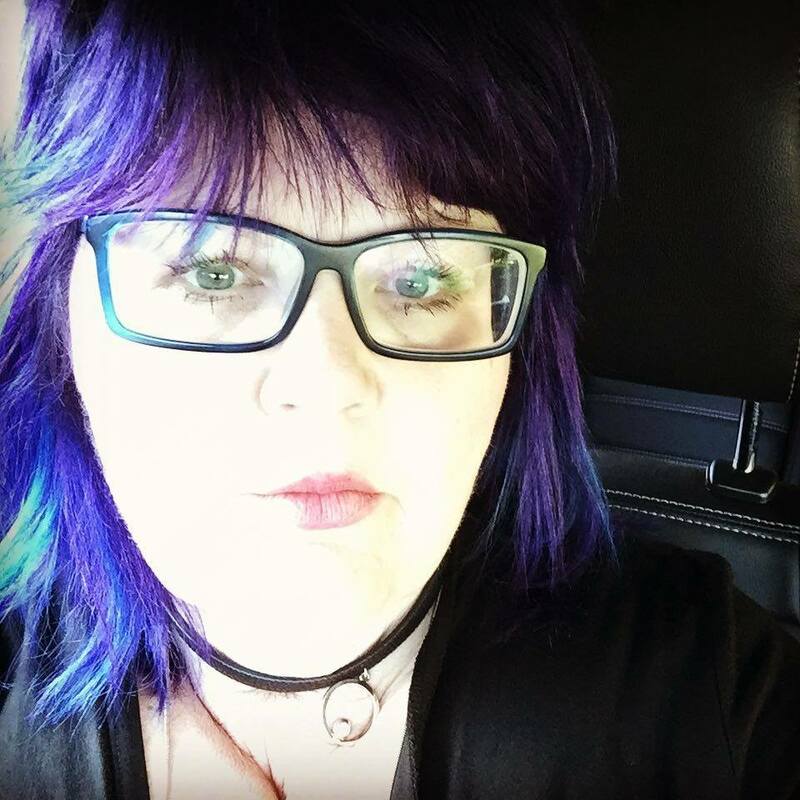 If i'm your first visit, when you're done here, hop on over the IO blog where all the fun begins!!!! For my card, I had a great time last Sunday playing with Alcohol inks with my friend Sarah from Scrap of Paradise. I've never used alcohol inks before, but I sure love the results you can get with it on various surfaces. So we played and played and decided to cut our papers out with an egg shaped die. 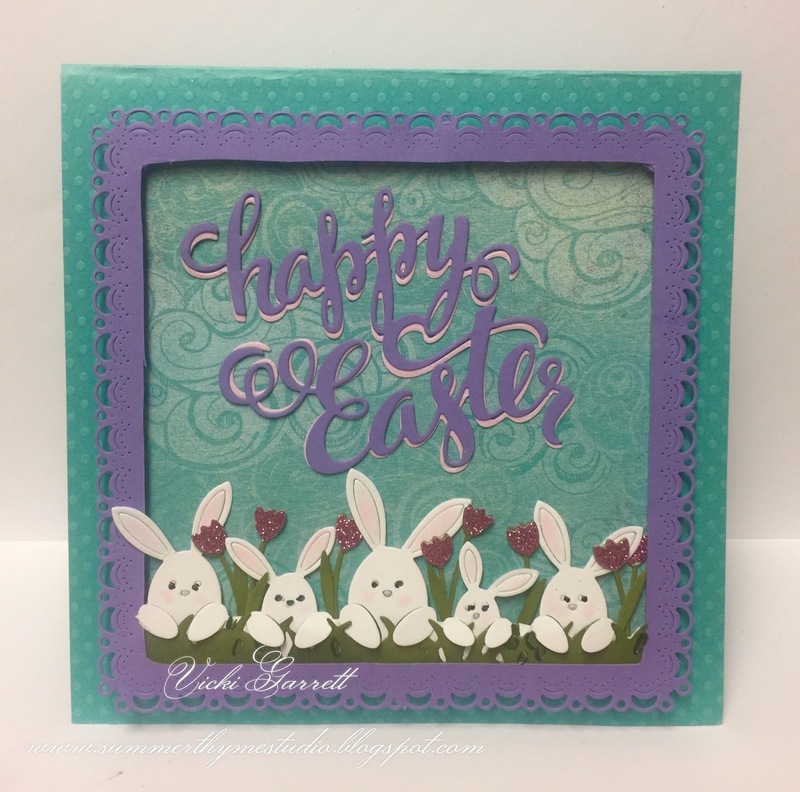 I was able to pair some of Impression Obsessions fun spring dies and a stamp to create this fun easter confection! I'll meet you here tomorrow with a spring in my step to bring you another fun and seasonal sample! 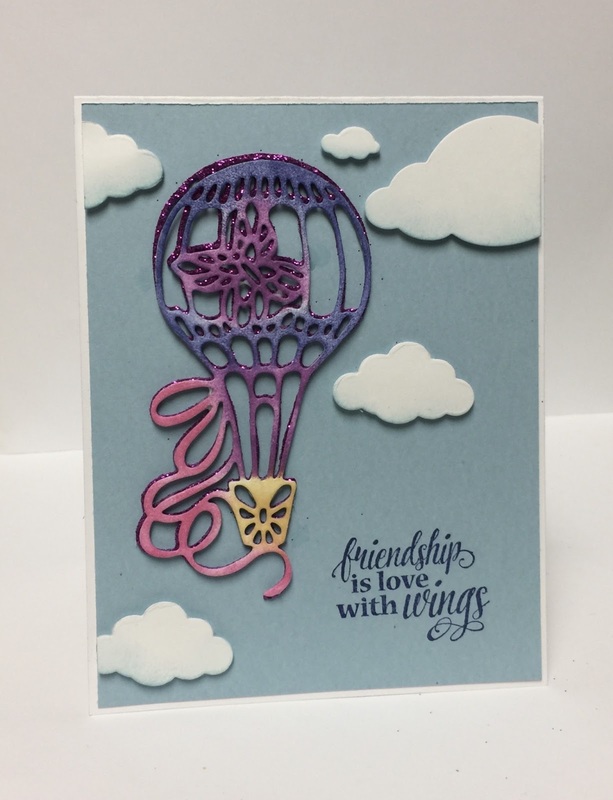 This week we're whipping up Holiday Creations at IO stamps! For my first card, I'm sharing this bevvy of bunnies!!!! 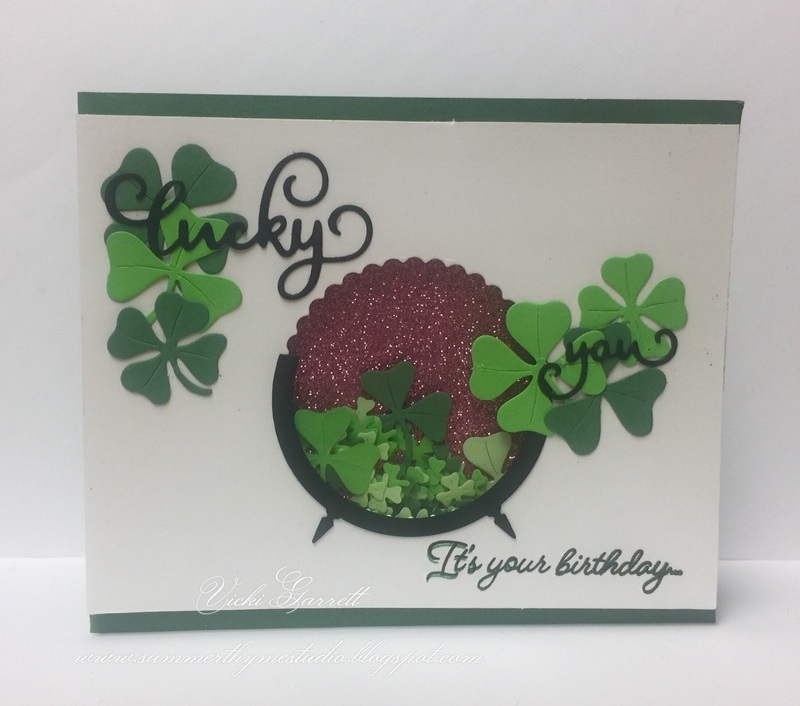 I thought I'd shake things up a bit and create this fun St. Patrick's Day themed Birthday card for a friend! Lastly, I stamped the sentiment from the Layered Twist stamp set. The new dies are FABULOUS!!!!! and of course, check out the fabulous DT creations! I wanted to share a couple of cards I made with the latest dies from IO. As you can see, I was able to use the negative and positive image in the Love Die. 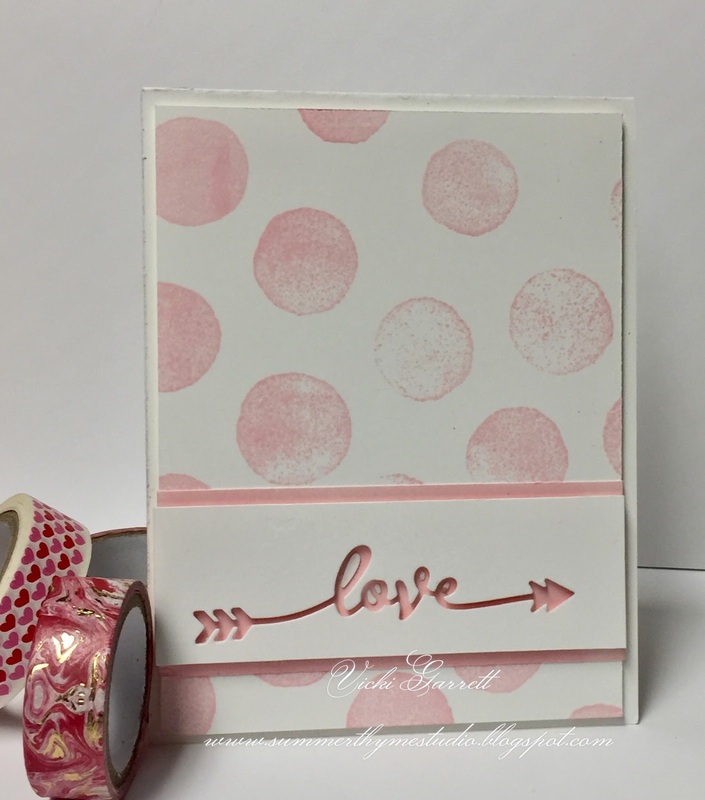 I inked up the pink panel behind the love sentiment to match the ink I used on the Free Spirit Dot Cover a Card. 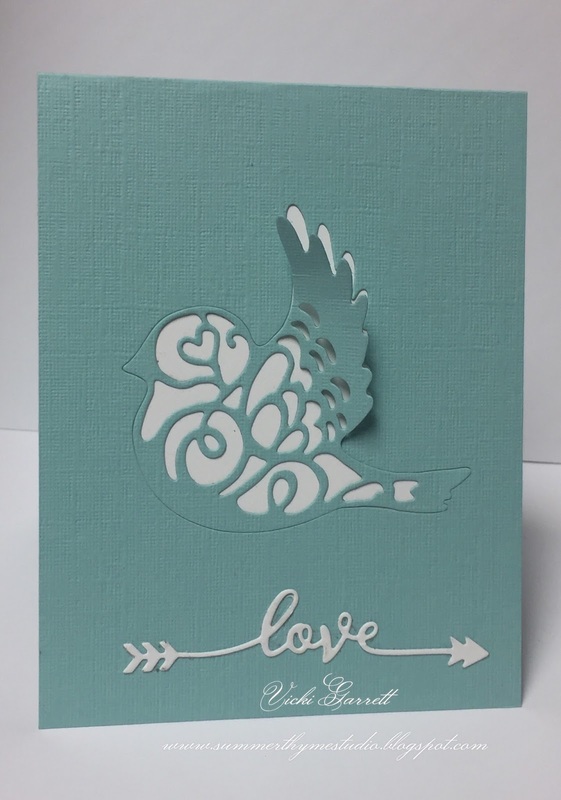 These cards were super easy to complete and could be used for a Shower, a Wedding or just to say I love you!!!! 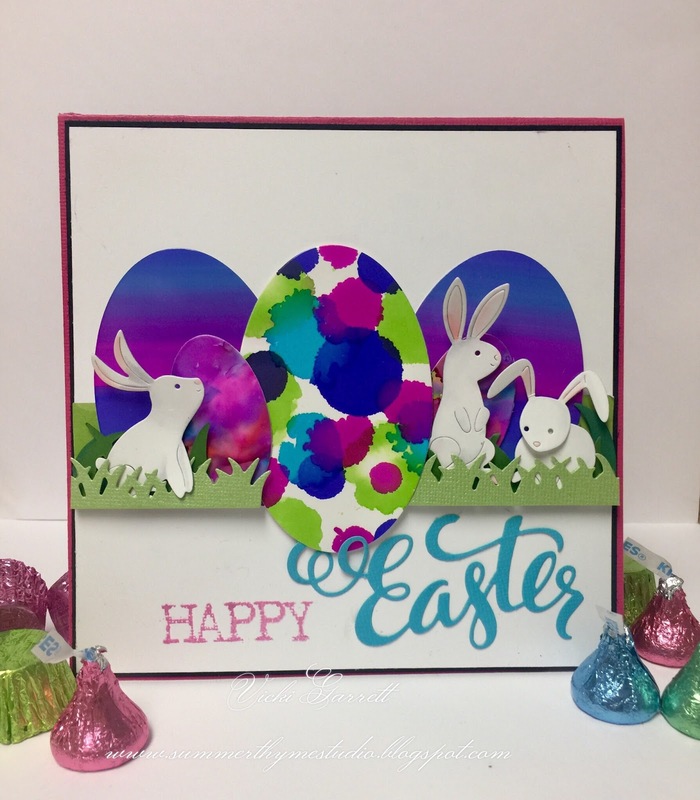 Be sure to head over to the Impression Obsession Blog to link up your creations in order to get a chance to win a gift certificate! Here's who is playing today!!! !